Almost anyone can be a videographer these days without having to go and talk with a bank manager. If you want your video to be really good, however, and we’re talking professional level, you’re going to need the help of professionals or some shiny new tools and training. 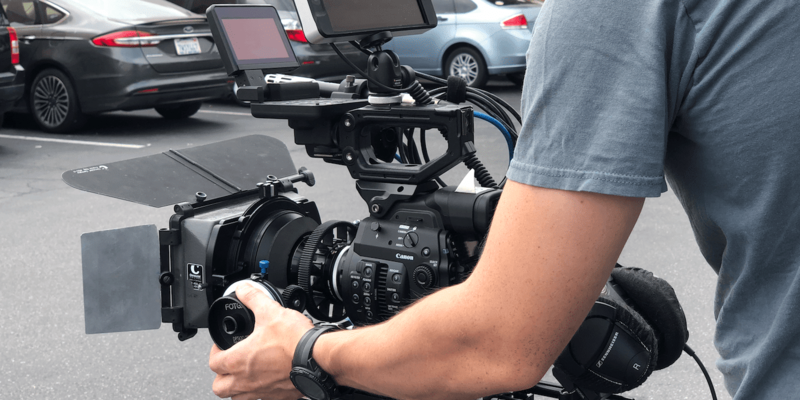 Here’s a look at the equipment videographers use and how people decide what they need. First of all, a videographer needs to know what sort of videos are required. Props, locations, the number of cameras required, and many other elements will all be factors when deciding how much it’s going to cost. It’s important to establish a budget early. At the least, most shoots require a camera, a dedicated microphone, and lighting hardware. With advances in technology and increasingly sophisticated techniques, spending a lot of money is not as necessary as knowing how to operate what you can afford. A behind the scenes video for an artist might require different production values – sound, to a corporate video for a corporation, so this needs some consideration, too. Think about lighting, sound, and image quality. Smartphone. This easy-to-access option allows you to record videos at the touch of a button. It is easy to transport and you can purchase an inexpensive smartphone tripod for filming vlogs. A lack of audio input other than the in-camera microphone, however, can be a big drawback. Camcorder. Using a camcorder that shoots in high definition (720p or higher) gives you a balance between portability and quality for around $120.00. Add in the cost of an additional memory card. A pro camcorder, however, ranges from around $2500 to $10,000. When you want to make videos that stand above the rest, it often helps to have equipment that stands above other tools. We have a range of cameras, so we always have the right tool for the job. Digital Single-Lens Reflex (DSLR) Camera. DSLRs provide high quality and include an array of devices. High-end brands like Canon or Nikon include video recording options on some of their DSLRs, but they don’t all have this option. DSLRs are not point-and-shoot cameras. They require patience and the willingness to develop the skill necessary to operate them effectively. They can be expensive, but viewers can see the difference between pro tools and amateur tools immediately when coupled with professional videography techniques. Beautiful footage can speak for itself. However, if you want sound with your beautiful footage, ensure that it’s equally high quality. We’ve all been exposed to poor-quality sound distracting us from enjoying an otherwise good video. An unobtrusive bed of noise can help create an effect in a video and a mood for the audience. Likewise, unintentional sounds and poor-quality recording can have a negative effect, even when it is not noticed consciously. Microphone options include a wide variety of choices from relatively cheap to studio-grade. Professionals tend to use dedicated microphones, which minimize echoing and background nse during recording. Adding a pop filter to put over your microphone will reduce audio feedback during editing. Lighting a room is about more than making sure lamps are working. How to light a room versus shooting outdoors is something that people get degrees in. There are basic underlying fundamentals of a 3-point lighting set-up. The key light is the main and strongest source of light. Key light can be the sun or an electrical light source. Second light source or fill is softer than a key light. It crosses the key light, filling strong shadows created by the key light source. We usually do this using a reflector or an electric light. The back light separates the subject from the background, making the scene appear more three-dimensional. The setting sun is a great natural back light, but unless you shoot at the exact right moment, you’ll probably need another light source. We match our lighting equipment to the type of video we plan to shoot. So, we consider whether we are working mainly indoors or on location. We think about whether or not there will be a lot of movement in the videos or if they are mainly stationary shots. Will we be shooting people (with skin, clothes, and movement), products (with varied surfaces), or both? The answers to these questions dictate the how the video will be shot and what with. There is a lot involved in making a good-quality video. Advances in technology have enabled us to be very light on our feet. We can turn up to a video shoot very quickly, because our equipment is flexible and portable. No matter what you need, you can be sure that we have the right tools for the job.